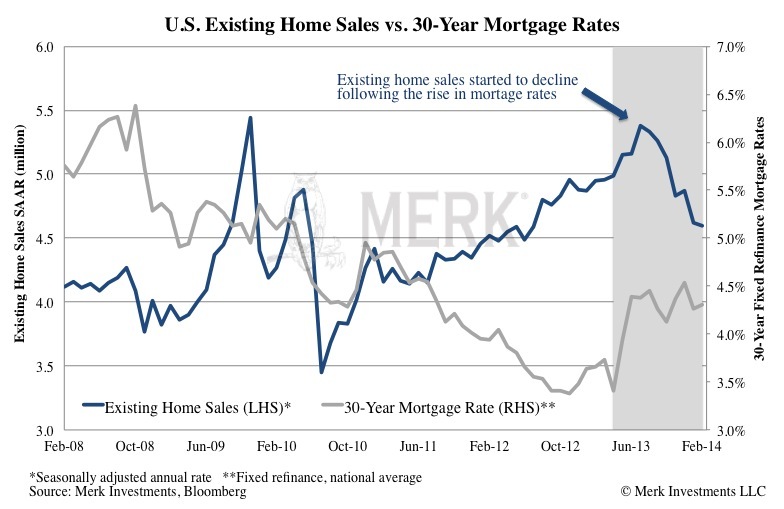 The Fed has had an interest in pushing up asset prices because “underwater” homeowners (homeowners that owe more on their home that it is worth) don’t make for good consumers. By boosting home prices – and the stock market while they are at it – consumption, and economic, growth might be boosted as well. 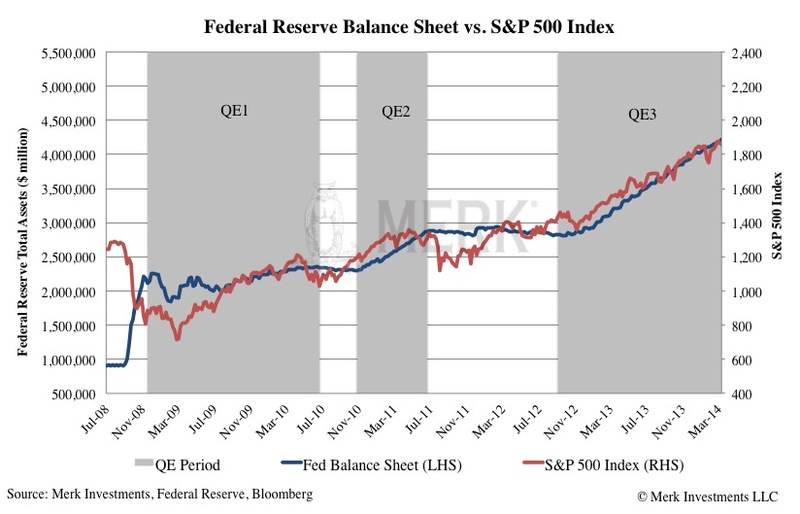 The problem with all this is that asset price inflation, especially in the stock market, can evaporate rather quickly. To prove this point, consider that the “taper talk” that started a year ago rocked not just the bond market, but also signaled to homebuyers that cheap mortgages may be a thing of the past. And although mortgage rates are still low by historic standards, housing market activity has been disappointing. As much as we respect the wisdom emanating from Newport Beach, the quote that the U.S. may be the “cleanest of the dirty shirts” left the impression with many investors that the U.S. is the place to invest. By all means, we don’t doubt there are investment opportunities in the U.S. But just as Apple, for example, may be a great company, it doesn’t mean one necessarily makes money buying AAPL stock (this is not an investment recommendation). Investors learned the hard way that going with the perceived leader is not always a profitable investment strategy. All excited about the U.S. “clean shirt” many investors haven’t realize that despite all the trouble in the Eurozone, the euro beat the greenback in 2012, then again in 2013, when the euro was the best performing major currency, and it is also up versus the dollar in the first quarter of 2014. There are plenty of challenges the Eurozone faces, but that doesn’t mean investors have to stay away from the euro.